It looks like the top lane meta may shift towards bruisers. Get ready to eat some cleavers, because Dr. Mundo just got a major buff on the PBE. It’s part of several changes to the top lane that we’ll likely see in Patch 9.7 and beyond, including tweaks to Cho’Gath, Garen, and more. But the biggest buff is to Mundo. His Q, Infected Cleaver, is getting a massive boost to damage. Instead of scaling from 15 percent of the target’s current health to 25 percent, the proposal is to scale from 20 percent to 30 percent. That’s a lot of extra damage, especially at early levels. Doing near one-fifth of a champion’s health bar at level one is a big deal. And it’s not even the only buff he got. His E is also gaining a flat boost of 10 bonus AD upon activation at each level, or basically a free longsword worth 350 gold. 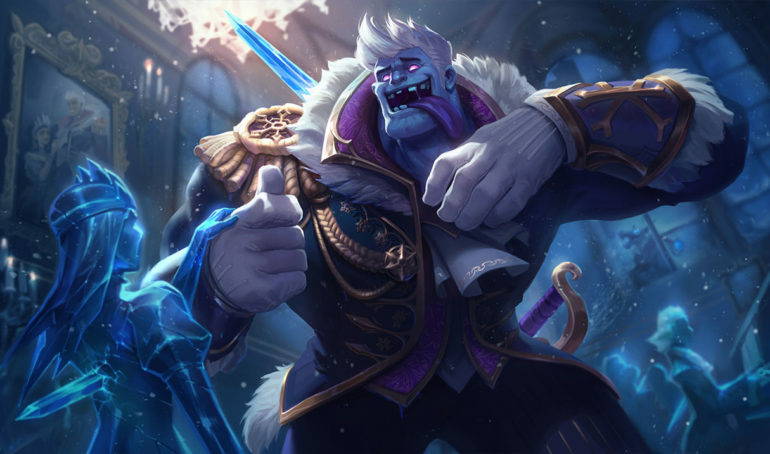 Mundo is a part of a whole class of top laners that are getting some attention for testing. Cho’Gath is getting a lower CD on his Q, Garen gets a bit tankier with his W, and Rumble’s ult CD goes down by a fair margin, just 70 seconds at max rank. Meanwhile, Sylas health pool continues to be nerfed as the champion still seems to do too much too well. The last of the new champion tweaks are a change to Morgana’s health and a buff to Pyke’s hook CD. The other big changes all have to do with runes. Demolish and Overgrowth are being buffed—the latter is interesting because it’s one of Kayle’s secondary runes now, and Riot is trying to nerf her. She is, after all, the best champion in the game right now. Note that the other big proposed change to the resolve tree, Aftershock nerfs, are being pushed back for further testing. The last rune changes are slight buffs to Ultimate Hunter and Cut Down. Overall, these changes mostly target top lane split pushers. Ranged top laners like Kayle (eventually) and Urgot are really strong right now, so it makes sense that Riot is looking to put power elsewhere. At least they’re not buffing tanks—yet. As always, PBE changes are highly experimental and we would not be surprised if these were rolled back, delayed, or modified in the coming days.